Thu., 6 Feb. - Wed., 19 Feb. Sat., 7 Dec. - Mon., 9 Dec. Thu., 6 Feb. - Mon., 17 Feb.
Jacksonville Airport Hotel offers a free shuttle service to the airport's main terminal, only 3 minutes away. 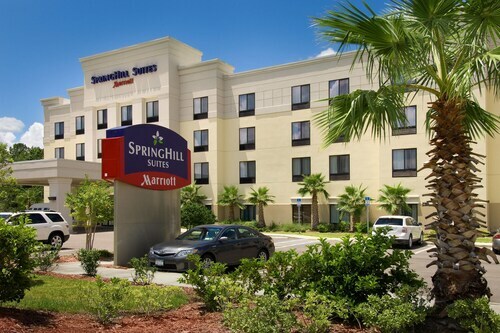 Guests can hop on highway I-95, only 7 minutes away, and be in downtown Jacksonville in 20 minutes. Shopping and dining at River City Marketplace is 8 minutes away. 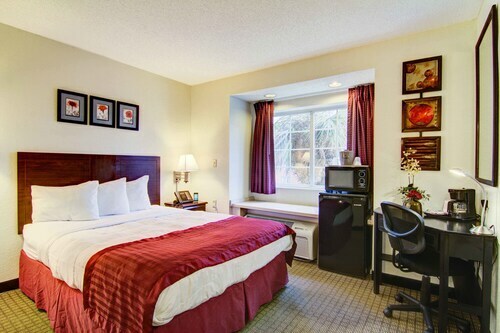 Situated near the airport, this hotel is 1.8 mi (3 km) from River City Market Place and within 6 mi (10 km) of Oceanway Community Center and Pecan Park Flea and Farmers' Market. Jacksonville Zoo and Gardens and Florida State College North Campus are also within 9 mi (15 km). 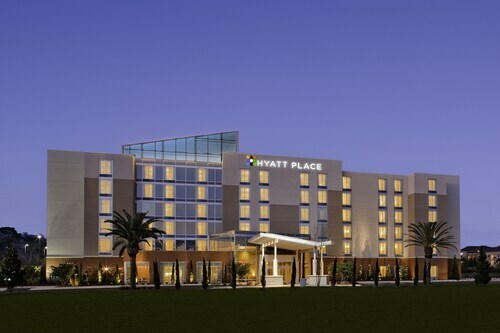 Situated near the airport, this hotel is 1.7 mi (2.7 km) from River City Market Place and within 6 mi (10 km) of Pecan Park Flea and Farmers' Market and Oceanway Community Center. Jacksonville Zoo and Gardens and Catty Shack Ranch Wildlife Sanctuary are also within 9 mi (15 km). Situated near the airport, this hotel is 0.7 mi (1.2 km) from River City Market Place and 2.5 mi (4.1 km) from Oceanway Community Center. Pecan Park Flea and Farmers' Market and Catty Shack Ranch Wildlife Sanctuary are also within 6 mi (10 km). 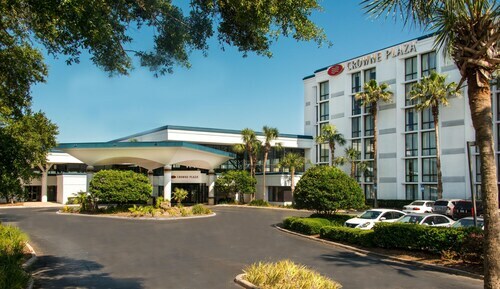 Situated in Jacksonville, this hotel is 0.8 mi (1.3 km) from River City Market Place and 2.6 mi (4.2 km) from Oceanway Community Center. Pecan Park Flea and Farmers' Market and Anheuser-Busch Brewery are also within 6 mi (10 km). 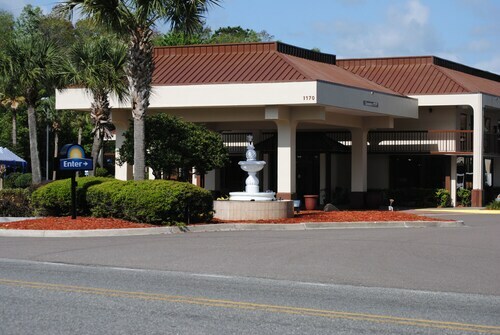 Situated near the airport, this hotel is 1.2 mi (1.9 km) from River City Market Place and 3 mi (4.8 km) from Oceanway Community Center. Pecan Park Flea and Farmers' Market and Timucuan Ecological & Historical Preserve are also within 6 mi (10 km). 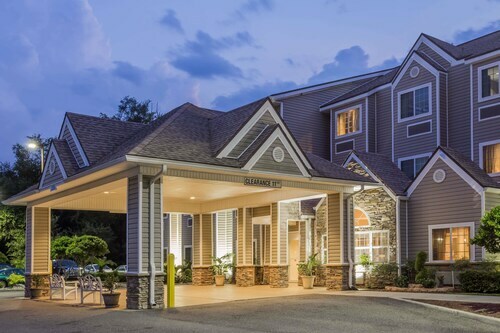 Situated near the airport, this hotel is 0.9 mi (1.5 km) from River City Market Place and 2.6 mi (4.1 km) from Oceanway Community Center. Pecan Park Flea and Farmers' Market and Anheuser-Busch Brewery are also within 6 mi (10 km). Question : What is the cheapest date to fly to Jacksonville? Answer : As of Apr 15th, the best day for deals to Jacksonville (JAX) is May 3rd. A ticket will put you out $362, which is 34% less than this route's average price. Answer : You sure can adjust your departure or arrival date and you may save by changing it. The lowest-cost day to fly in April is Thursday. You may be thinking you're missing out leaving a day earlier, but we think of it as you just adding saving towards your next getaway. A dollar saved is a holiday earned. Question : What is the cheapest airline flying from Ottawa to Jacksonville? Answer : American Airlines strives to keep costs down for their passengers over the next three months. Fares are being booked at just $362, which is a great deal when compared to the high-end bookings of $763. Question : How long do most people stay in Jacksonville on average? Answer : The cheapest day to fly from Ottawa to Jacksonville is on Thursday. So, if you want to save a little cash on your next holiday look for flights on Thursday. Question : How much is a plane ticket to Jacksonville (JAX) from Ottawa (YOW)? Answer : Prices range from $362 to $763. Booking in advance can usually help you get the cheapest rate. Prices are usually lower the further out you book.